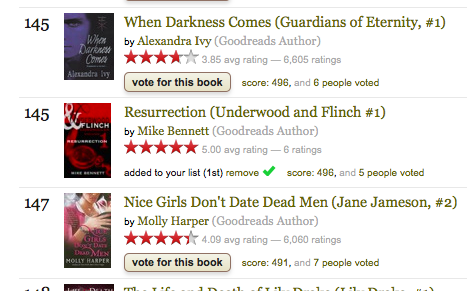 Mike Bennett Author: Vote U&F in the Top Adult Vampire Chart at Goodreads! Vote U&F in the Top Adult Vampire Chart at Goodreads! Are you on Goodreads? If so, please could you drop by and give Resurrection and Bonded in Blood some stars. I'd be very grateful. Get Started with The Chronicles! The Underwood and Flinch Chronicles Launch Today!